Kissimmee, Fla. — The DRW Life Skills Institute in Kissimmee honored 23 graduates of its Certified Holistic-Emotional Intelligence Coach Program at the Emotional Intelligence Awards Gala, held recently at Park Inn by Radisson in Kissimmee and sponsored by the Orlando chapters of the Society of Emotional Intelligence and the International Coach Federation. Dr. Wanda Bonet-Gascot, better known as “Dr. W,” said the 30-hour Certified Holistic-Emotional Intelligence Coach Program provides the education, tools and guidelines for individuals to develop a successful coaching practice. “As coaches, our graduates will be facilitating the process of defining goals, designing strategic plans and monitoring progress in areas of life and business,” Dr. W. said. “The DRW Life Skills Institute program teaches prospective coaches to utilize the power of emotions to engender real changes in eight areas of holistic health,” Dr. W. explained. “Our coaches learn how to use the skills for themselves first, and later they are able to make a significant impact in the lives of others,” she said. 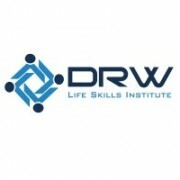 The DRW Life Skills Institute is a client company of the UCF Business Incubation Program in Kissimmee.